On the night of November 9, 1938, and crossing over into the next day, Reich Minister of Propaganda Joseph Goebbels used the murder in Paris of an embassy official, Ernst vom Rath, by Herschel Grynszpan, a Polish Jew, as a pretext to launch what came to be known as Kristallnacht, or the Night of Broken Glass, a pogrom against Jews in Germany, Austria and the Sudetenland. Over the next two days, hundreds of synagogues and prayer rooms were destroyed, thousands of homes and businesses were ruined (including the kosher family restaurant in Frankfurt owned by Strauss’ uncle), Jewish cemeteries were desecrated and tens of thousands of German males were sent to Dachau and Buchenwald, many of them later released when they agreed to sign over all their assets to the government and leave Germany within six months. Mordecai Paldiel, Tova Rosenberg and Richard Weisberg offer three strong essays about why we must all keep the memory fresh of that fateful night eight decades ago, especially in light of the recent tragedy at the Tree of Life Synagogue in Pittsburgh. They come to their opinions based on a lifelong engagement with the Holocaust and its effects on modern life. Paldiel, a Holocaust survivor himself, worked at Yad Vashem for 25 years before coming to teach at Stern College for Women. Rosenberg created Names, Not Numbers, a program in its 13th year where students create documentaries based on interviews with Holocaust survivors. 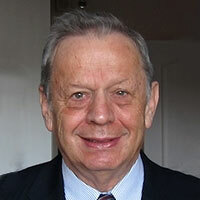 Weisberg is Floersheimer Professor of Law at the Benjamin N. Cardozo School of Law and founder there of the Program on Holocaust and Human Rights. We also want to congratulate the Student Holocaust Education Movement for organizing a commemoration of Kristallnacht with Norbert Strauss. Let us reflect on the significance of this large, government-staged pogrom on November 9-10, 1938, targeting the Jewish population across Germany, including the annexed regions of Austria and the Czech Sudetenland. Jewish homes and businesses were vandalized, 270 synagogues destroyed, close to 100 persons killed, and 30,000 Jewish men carted off to concentration camps. In the context of the atrocities committed during the height of the Holocaust, these figures may be appalling but perhaps not shocking. Taking a step back, it is important to acknowledge that this did not take place with the backdrop of the Holocaust but rather in the midst of civilized and still-at-peace Europe. If anyone, up to then, had doubts on how far the Nazi regime would go to force all Jews out of the country by the use of acts of terror, the violent physical attacks of Kristallnacht left no one further in doubt about the intentions of Hitler and his henchmen. It also left no doubts about the anemic pushback from the international community. Kristallnacht can be seen not just as a horrid day in history that foreshadowed the attitudes and events of the Holocaust but also as a testing of limits to observe both if and how the international community would take action. Sadly, the response of the Western democratic nations to this flagrant challenge to the very foundations of humanity was not forthcoming. The Evian Conference, held July 1938 with 32 nations, was unable to form a unified response to accommodate Jewish refugees fleeing persecution and signaled to the Nazis that the world’s countries were sympathetic but not prepared to open their own doors to Jews. Months after Kristallnacht, several events only heightened this conviction in the mind of Hitler. In May 1939, the St. Louis, with a passenger list of over 900 Jews confirmed for emigration to the United States, was denied landing off the coast of Florida. The boat was forced to return its human cargo to the shores of Europe; many of these passengers were later engulfed in the Holocaust. That same year, Senator Robert F. Wagner of New York and Representative Edith Rogers of Massachusetts failed to have Congress approve a bill, following the Kindertransport example of England, to allow 20,000 Jewish children from Germany access to the United States. Even with the assurance that the Jewish community would be solely responsible for bearing the cost of hosting and caring for the children, the U.S. government refused to intervene. That same year, Harold Ickes, Secretary of the Interior, proposed allowing Jewish refugees into Alaska to help develop the natural resources of that territory, adding that it would not impinge U.S. immigration laws, since these laws would not apply to the non-state Alaska. It would be both a humanitarian gesture as well as a boost to the economy of Alaska. It was rejected by the President. All these aforementioned steps of refusal to save even a limited number of Jews were signals interpreted by the Nazi regime that, in spite of words of protest, the nations of the world were not invested in the welfare of Jews. For the Nazis, it meant only one thing: that they could escalate their anti-Jewish measures beyond the large-scale pogrom of Kristallnacht to mass murder as publicly proclaimed by Hitler in January 1939 that indeed began in June 1941 when Germany invaded Russia. In the words of the 18th-century British political philosopher Edmund Burke, “The only thing necessary for the triumph of evil is for good men to do nothing.” It is not intention nor discussion that brings strong enough repudiation for evil, but action. 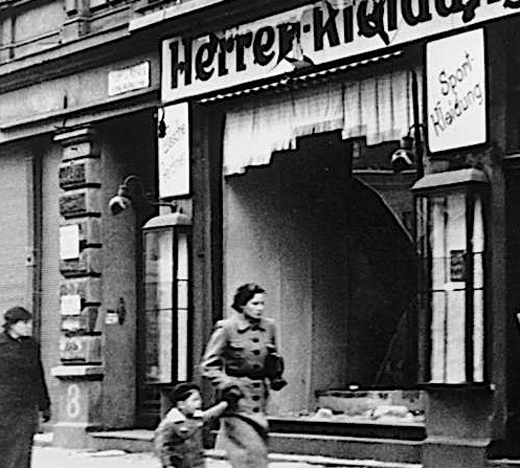 Kristallnacht was not just the start of organized violence against Jews in Germany—in fact, with a different international reaction, it could have been the end of it. Instead, it was the hall pass for such violence and hatred. While it is easy to dismiss Kristallnacht as a different time, place, and political climate, we know all too well that anti-Semitism remains a dangerous force in our world and in our free nation. Let the anniversary of Kristallnacht be a reminder to the civilized world and younger generations to act against evil regimes who flout the elementary rules of civilized conduct before they cause untold damage and hurt millions of innocent people. A Holocaust survivor himself, Dr. Mordecai Paldiel was the former director of the Department of the Righteous Among the Nations at Yad Vashem in Jerusalem from 1982 to 2007, when he came to Stern College for Women, where he has been teaching since then. He has written several books devoted to the subject, including The Path of the Righteous: Gentile Rescuers of Jews During the Holocaust published in 1993 by the KTAV Publishing House. A version of this essay appeared in Times of Israel. So said the distinguished Holocaust scholar and author Yehuda Bauer to the German Bundestag in 1998. He even suggested that perhaps it was time to add these three mandates to the Ten Commandments. And yet, since that speech two decades ago, human beings all over the world continue to stand by and watch as others are being oppressed and killed. Remarkably, as we commemorate the 80th anniversary of Kristallnacht, more than seventy years after the end of the darkest chapter in human history—a chapter that prompted so many to pray and to vow “Never Again”—we are in fact witnessing a historic increase in anti-Semitic incidents across the globe and, most recently, experienced the deadliest anti-Semitic attack in the history of the United States, according to an Anti-Defamation League report. One beacon of hope emerged in 2005, when the United Nations unanimously passed a resolution declaring January 27 as the International Day of Commemoration in Memory of the Victims of the Holocaust. The primary significance of this resolution is its call for a remembrance of past crimes with the express purpose of preventing them in the future. It therefore also provided a mandate to educate people about the Holocaust, as the paradigmatic genocide, all over the globe. However, even here in the United States, only six states currently have mandatory Holocaust education. In light of recent history, it should be clear that now is the time to develop serious academic programs that educate our youth about the Holocaust. 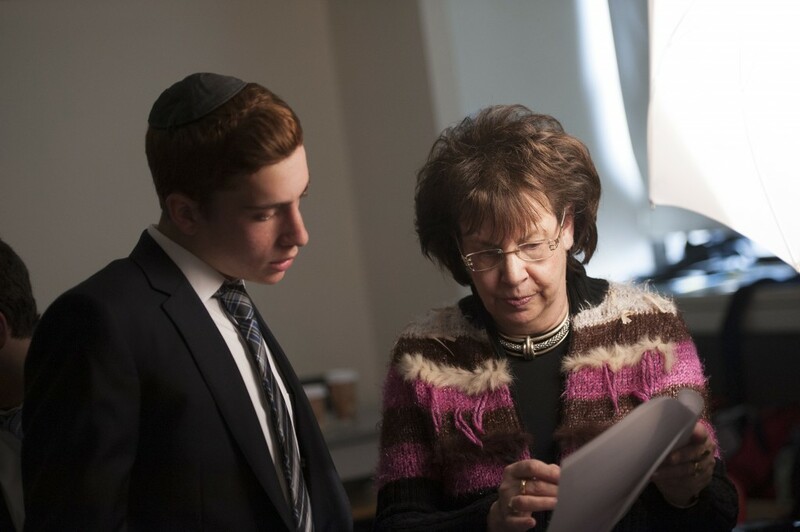 Studies regarding Holocaust education have found that the most meaningful and effective way to teach about this era is through “one on one” conversations with survivors. The opportunity for student to hear first-hand testimonies in response to their own questions is both profound and transformative. When students sit across from victims and watch them recreate their terrible experiences in their minds, they quickly understand the importance of not being a bystander. We have learned what hatred can do. It can be perpetrated anywhere at any time and against any human being. But our youth can make a difference in preventing future acts of genocide in this world. They can be inspired by and follow in the footsteps of many valiant individuals who indeed not only did stand up but in fact took action against intolerance and oppression. The future of the world is in their hands. This future will not be a bright one, however, unless our children are properly educated, unless they are taught to appreciate and respect differences, unless they know how to prevent prejudice, hatred, intolerance and injustice. The first step is to mandate Holocaust and genocide education in the other forty-four states. Let’s do our part to ensure a brighter future. Tova Rosenberg serves as the Director of the Hebrew Language Department, Director of the Yeshiva Makor Chaim Student Exchange Program, and creator of the acclaimed “Names, Not Numbers©” Intergenerational Holocaust Oral History Film Project. Every autumn, as the leaves fall away, many Jews sense a sadness that relates to another autumn evening a long time ago. In Berlin in November 1938, synagogues burned, and Jews were murdered in their workplaces and on the streets. Throughout Nazi Germany, Jews found themselves unprotected and unloved. Although many terrible things had already happened under Hitler, including the 1935 Nuremberg laws that deprived them of their rights, Jews now knew that far, far worse lay ahead. On a fall day this year, anti-Semitic violence much closer to home has evoked the horror of that terrible night. Glass shattered and Jews died in Nazi Germany 80 years ago. And on October 27, 2018, glass shattered and Jews died in the peaceful and previously harmonious neighborhood of Pittsburgh called Squirrel Hill. How can we explain to our children and grandchildren, to our students, to all who ask why blind hatred of Jews finds its way into the calmest and most reverential of communities? When I teach and write about Kristallnacht, I urge people to find a place in themselves that says “Never Again!” so that this time, even when events like Squirrel Hill overwhelm us, we act immediately to nip the violence in the bud. Tragically, very few in Nazi Germany or eventually the rest of Hitler’s Europe felt such an obligation. I write and teach about three heroes who resisted Hitler against all odds, and everyone reading these words can locate others, the precious few who knew even then that they simply could not abide hatred, whether expressed violently or—more often—through the polite language of equivocation and collaboration. These wartime models prove we can stand up for the right, intransigently, in circumstances that cannot be any worse than they were 80 years ago. But their example does not answer my grandson’s question. To fathom anti-Semitic rage, we must also understand the social influences—historical, religious and contemporary—that motivate an individual or a nation to want to destroy the Jewish “other.” In present-day America, we have rationalizing tweets, spineless politicians and many who are just too enthralled by the 24-hour news cycle to get up and do what they know is the right thing. But it is deep in history and even in theology that a hatred beyond vicious racism was engendered. We must study it and work towards a world in which our grandchildrens’ grandchildren will never again have to ask such a question. 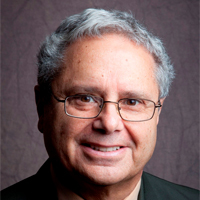 Prof. Richard H. Weisberg is Floersheimer Professor of Law at the Benjamin N. Cardozo School of Law and founder there of the Program on Holocaust and Human Rights. He is also the author of Vichy Law and the Holocaust in France and In Praise of Intransigence. A version of this essay appeared on the Cardozo website.